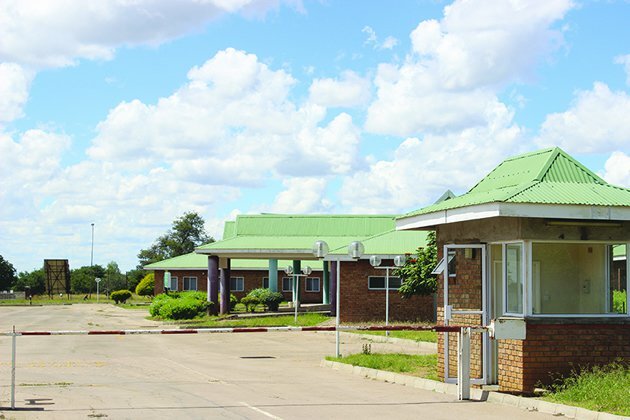 INDIAN investors who are set to reopen Ekusileni Medical Centre in Bulawayo yesterday said the new dispensation is on course to taking the country to its former glory as evidenced by the stability prevailing in the country. The investors made their first tour of the hospital yesterday. Following the tour, Sharda Group of Institutions (SGI) chairman Mr Pradeep Kumar Gupta said Zimbabwe was a stable nation, something which is a magnet for investment. He said President Mnangagwa's diplomatic offensive and call for investment was good for the country. "This is a very peaceful country; I've toured all over Africa. I've been to Nigeria, Tanzania, but people here are very nice, law abiding and the Government right now is increasing efforts to invite foreign investment," he said. "And if this continues I think this country will get back to its former glory. What it used to be in the 70s and 80s. It has huge resources. It has disciplined law abiding citizens." SGI has interests in health care and owns a university teaching medical sciences, dental sciences, engineering and creative arts among other disciplines. Mr Gupta came with the president of SGI Mr Ashok Daryani and his technical team is set to join them today. He expressed satisfaction with the infrastructure at Ekusileni Medical Centre, a brainchild of the late Father Zimbabwe Dr Joshua Nkomo, saying it was well maintained. Mr Gupta said they would start shipping equipment for the hospital so that they can start treating patients as soon as possible. He could not state the exact amount of money that would be used to equip the hospital but said it will run into millions. "In the health care sector, there is no limit to money because every day there are new technologies and it will cost a lot of money. It is very difficult to quantify in terms of money," he said. Mr Gupta, however, said there are some minor structural changes needed at the hospital to suit the group's expectations. Deputy chairperson of the Ekusileni Hospital Operationalisation Team Dr Mandy Sibanda-Dlamini said investors were on course with the President's schedule on the reopening of the hospital. "This is part of the action that we agreed on when we came here with President Mnangagwa on June 23. "We agreed that by the middle of this month, we are going to bring the selected investor to come and have a tour of the hospital and tell us what is required or anything else they need before they come to the ground," said Dr Sibanda-Dlamini. She said the investor was satisfied with the buildings at the hospital although they are likely to make some renovations. "They said it looks like it was built yesterday, that's how good the building looks. But there a few important structures that are missing for example the mortuary, incinerator and well marked outpatients department area," she said. Ekusileni Medical Centre was shut down in 2001 and President Mnangagwa last month said it should be operational by the end of the year.